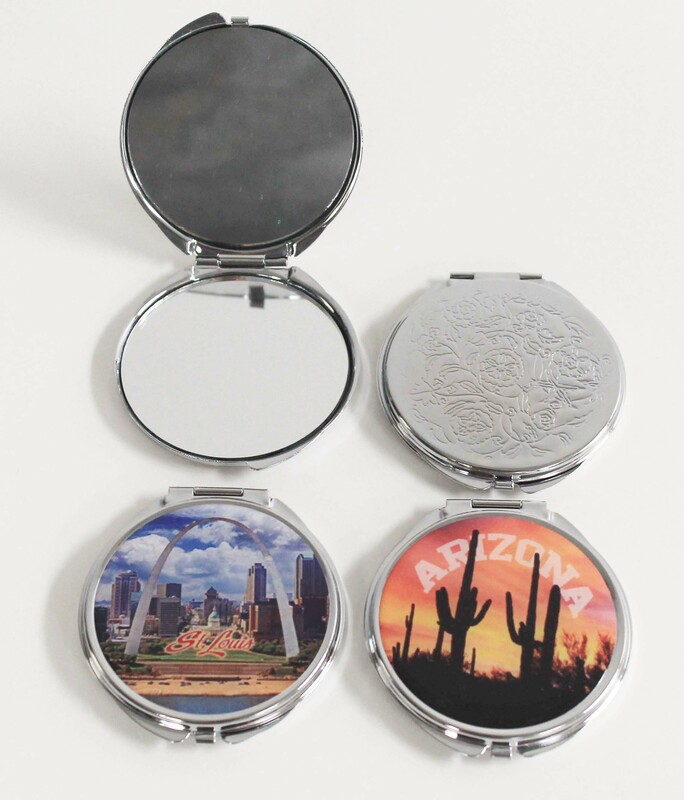 Our compact mirrors are made from steel and are nickel plated. Your logo goes on the front side and can be anywhere from one color to full color. The back side has a textured pattern that helps prevent finger prints. Once opened, there are two mirrors on the inside. Imprint area for the epoxied dome is 2 1/16" diameter. Your Price: As low as $1.21 each.